A semiconductor optical amplifier for amplifying an optical signal. The amplifier comprises an input for receiving the optical signal and an output for outputting an amplified version of the optical signal. A semiconductor active medium is provided for defining an amplification path extending between the input and the output for amplifying the optical signal as the optical signal propagates along the amplification path. A control means selectively controls the amplified spontaneous emission (ASE) of the semiconductor optical amplifier. The control means is co-operable with the active medium for selectively varying carrier density along the amplification path. We are looking for a licence or Sale. 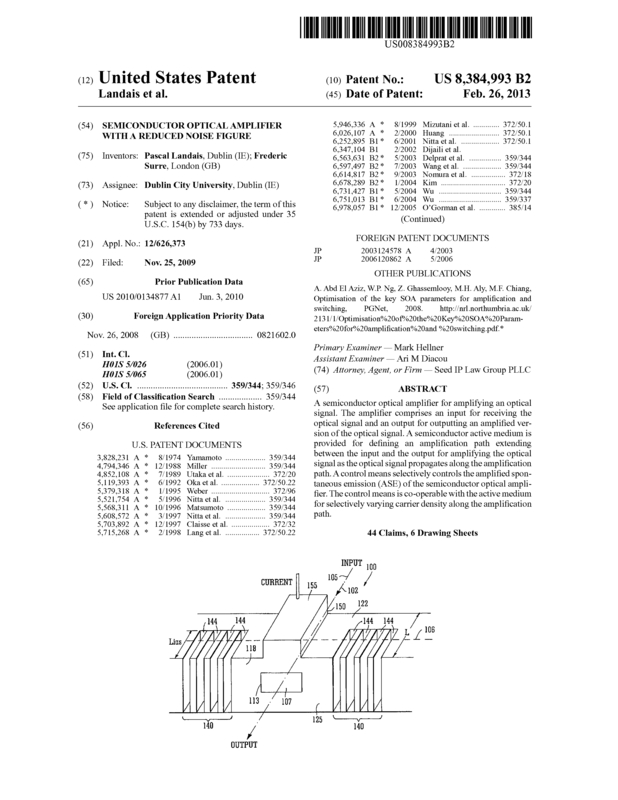 Page created at 2019-04-25 20:47:06, Patent Auction Time.